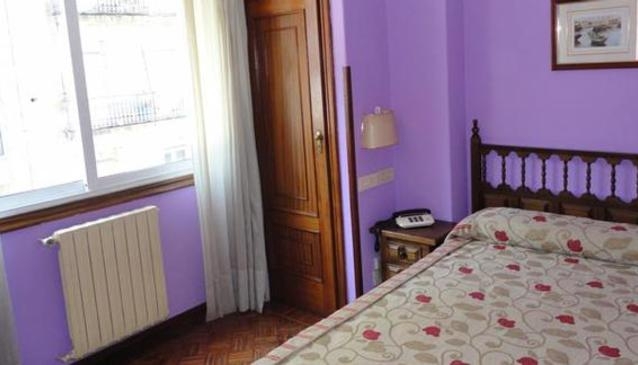 This centric and friendly hotel in Vigo, in the province of Pontevedra, is a comfortable establishment that will allow you to enjoy a pleasant stay in Vigo. This hotel is situated in the heart of the Galician city, next to the train station, which makes it the ideal base for business and pleasurable trips. The Hotel Recamar has 45 spacious, comfortable and classic rooms with an astonishing and elegant design. Very well connected by road and public transport, just next to the train station, the Hotel Recamar offers practical services such as 24 hour cafeteria, laundry, fax and parking. Refurbished between 2007 and 2008, we have rooms with simple decoration but colourful, all of them being fully equipped to make guests feel like home. They all include bathroom, heating, telephone, satellite TV and alarm clock. In addition, customers can stay in non-Smoker rooms if previously requested.